Jack McCollough and Lazaro Hernandez arrived in Paris on Sunday morning only to be met with thunderous applause at the Lycée Jacques Décour. They presented their Spring 2018 ready-to-wear collection as part of haute couture week, which takes places in January and July. The switch is to develop and grow their business—shifting operations to Paris, and to couture week, affords the opportunity of increased sales as fashion buyers are in the city—with larger budgets—purchasing pre-collections. Their decampment is at the expense of a barrenly drab New York Fashion Week but an injection of zest to the couture schedule. 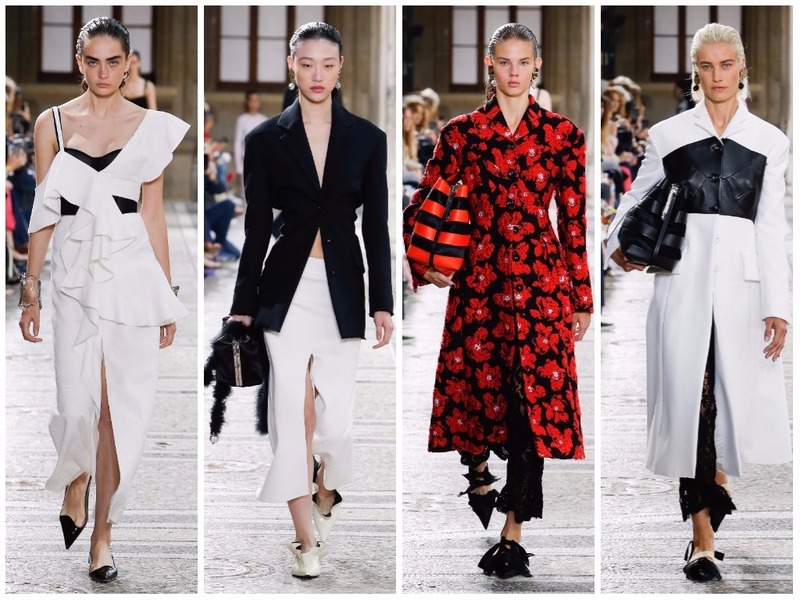 Their Sunday morning show kicked off proceedings in true Proenza style: it characteristically manipulated perceptions of beauty with its vaguely clinical approach to design. Tailoring expertise and impressive use of fabric were allowed to flourish but there were moments when the creative substance lacked. There were—and always have been—complaints of copying and appropriation with the work of Proenza Schouler. Commentators argue that their work is banal, counterfeiting and hybridising Phoebe Philo’s Céline, Nicolas Ghesquière’s turn at Balenciaga and Prada. Personally, I choose to rest my mind on the dreamily flirtatious Spanish tinges and flattering body-conscious silhouettes that the brand has pioneered in recent seasons. It began with Spring 2016 when the duo examined their heritage and were galvanised them into creating more personal, driven work. They continued in the same vein here with their interpretation of the Parisian practice of haute couture. Transposing the downtown aesthetic that popularised the brand and polarised audiences was always going to be a difficult transition and it certainly wasn’t seamless. However, one could see the boys stride—albeit unsuccessfully—towards an homage to their adopted city with 1920s-influenced looks. Silk ribbon is fashioned into flowers, an unconventional stab at the painstaking process of couture craftsmanship; marabou is used to accent these pieces. It touched on the recurring motifs of couture and tried to express them in terms of downtown cool. 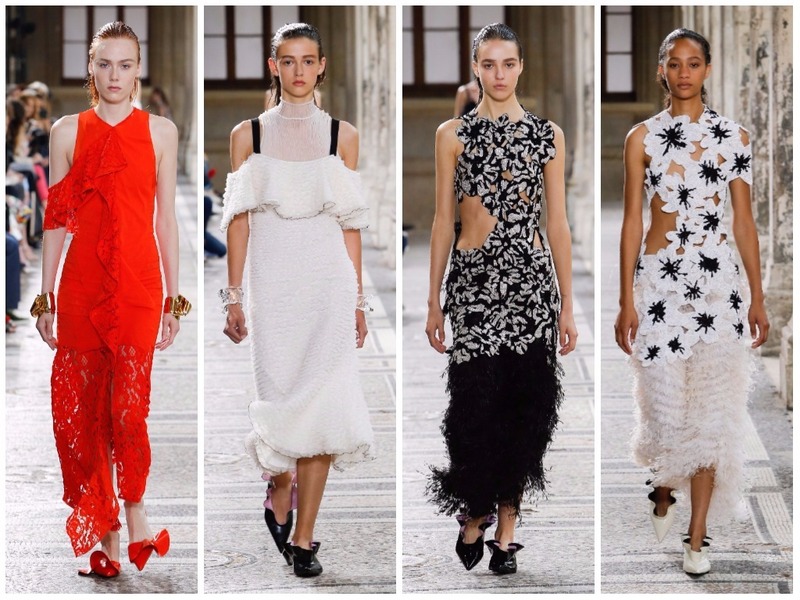 Proenza Schouler—along with fellow expatriate Rodarte—is in the ranks of my favourite New York designers. However, lately there have been a number of missteps. To have an auspicious Parisian moment they will need to adapt and learn to eradicate the minor imperfections that inhibit the collection.